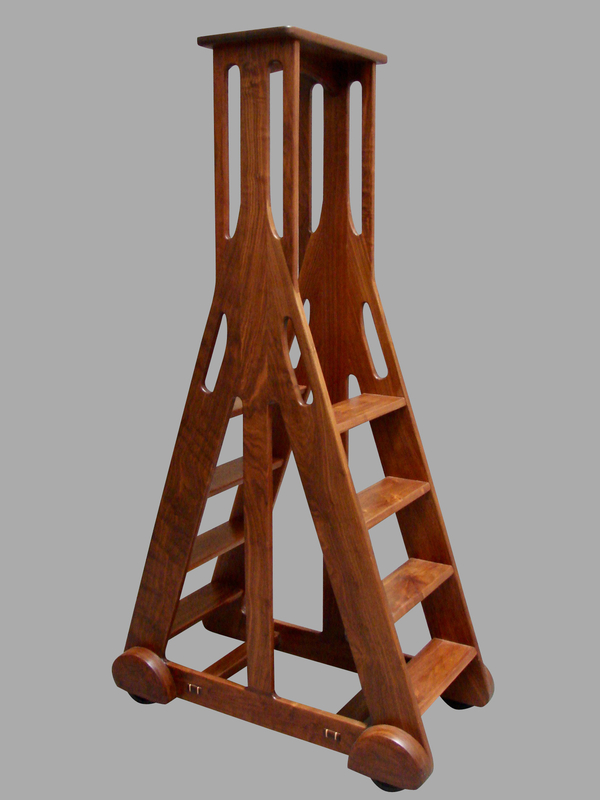 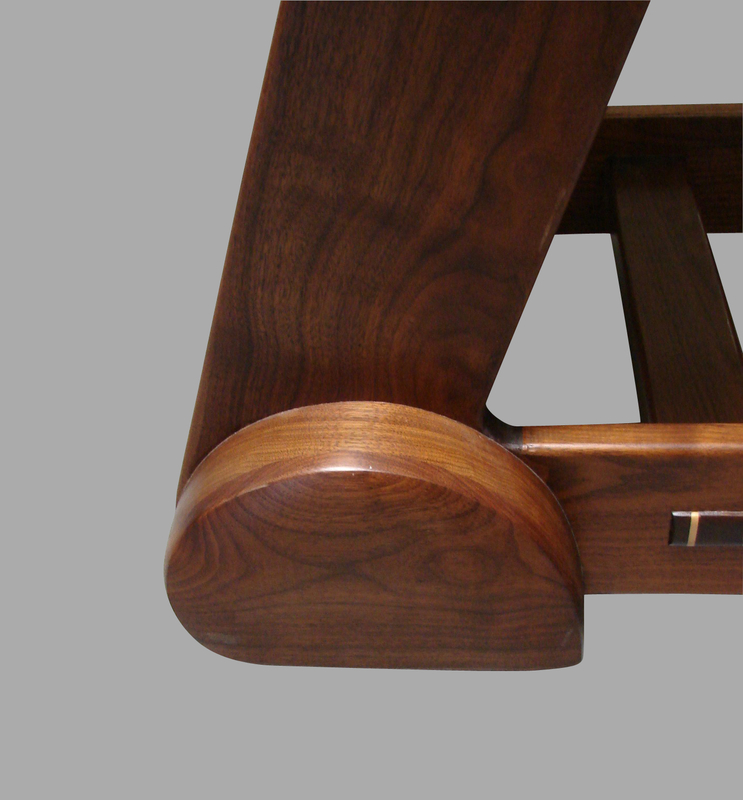 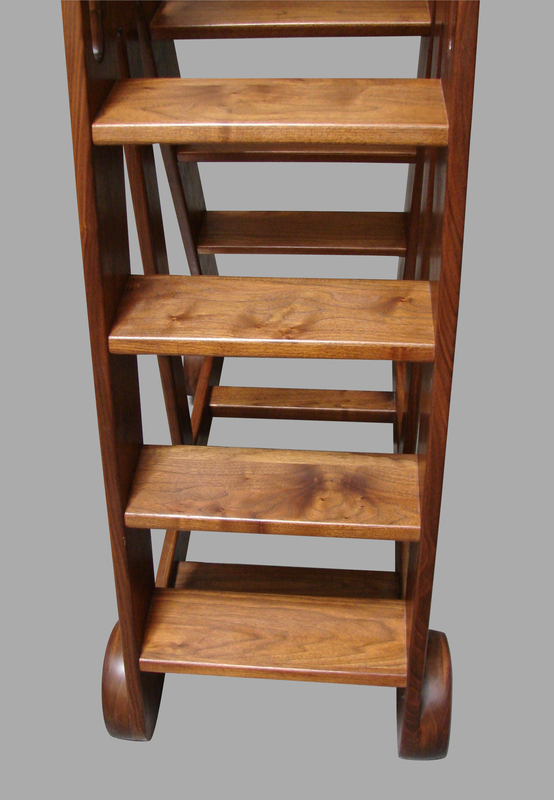 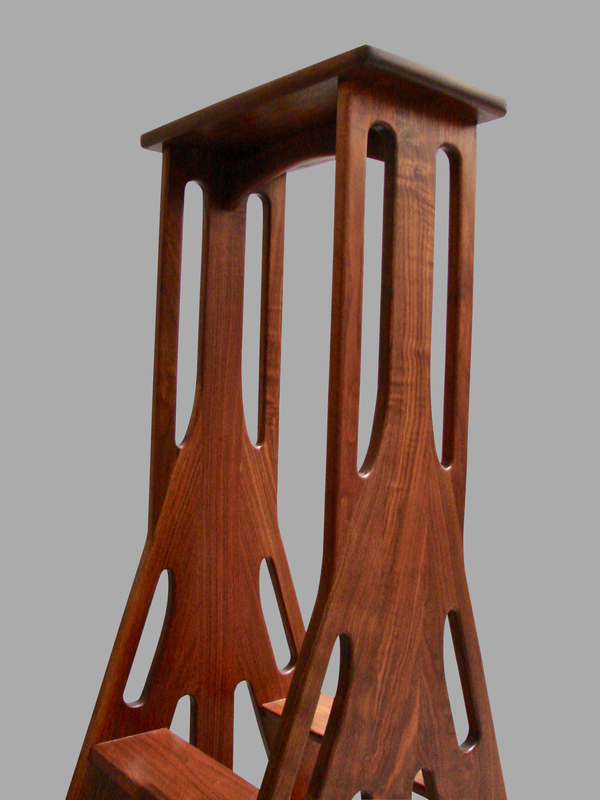 A fantastic Mid-Century Modern walnut double sided library ladder on concealed wheels. 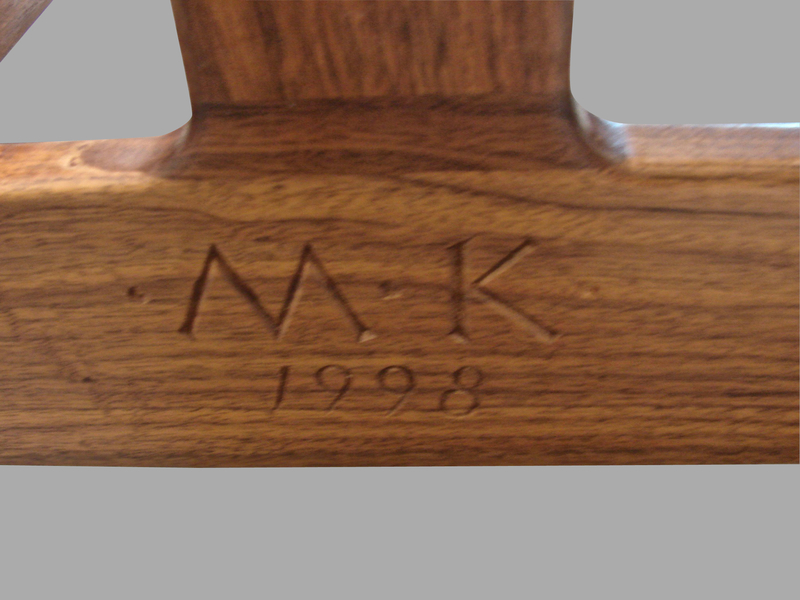 Inscribed by the maker M-K 1998. 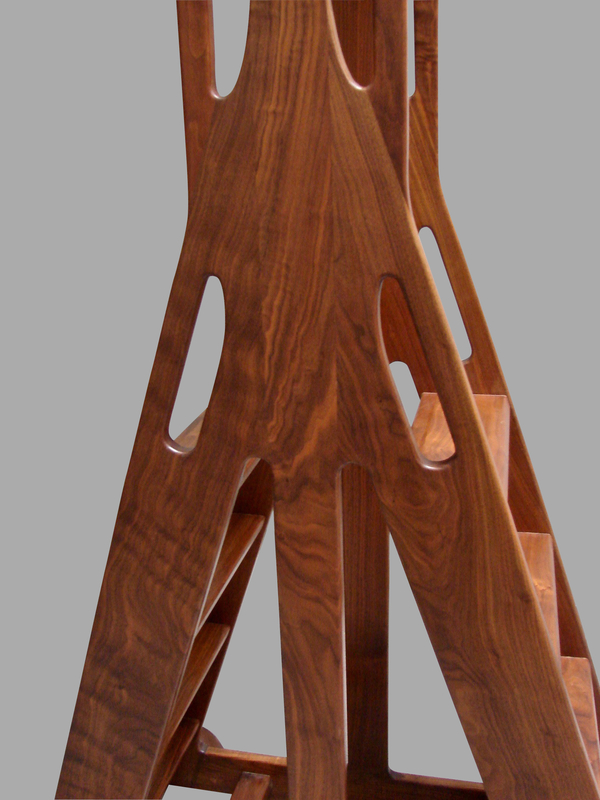 This is a very stylish and study set of library stairs of a unique form. 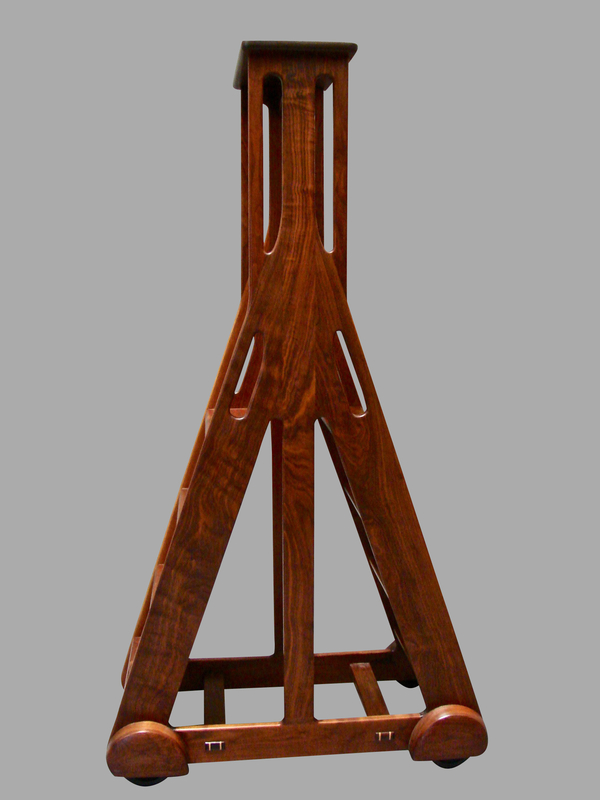 Beautifully made and a very useable scale.